Are you ready for your date night tonight? I know some of us are pondering on what to wear and how to beautify ourselves to leave a lasting impression to that special someone. Check out my post on What on Wear on Valentines Day for your date night outfit ideas. For this post, I'll be sharing an eye makeup look which I think is perfect for your Valentine's day date night. So let's get started. 2. Apply a baby pink eyeshadow shade from the inner corners of your eyes moving your way out till 3/4's part of your upper eyelids. 3. Apply a brown eyeshadow on your crease and the remaining 1/4 part of your upper eyelids. Blend the application moving your way out. 4. 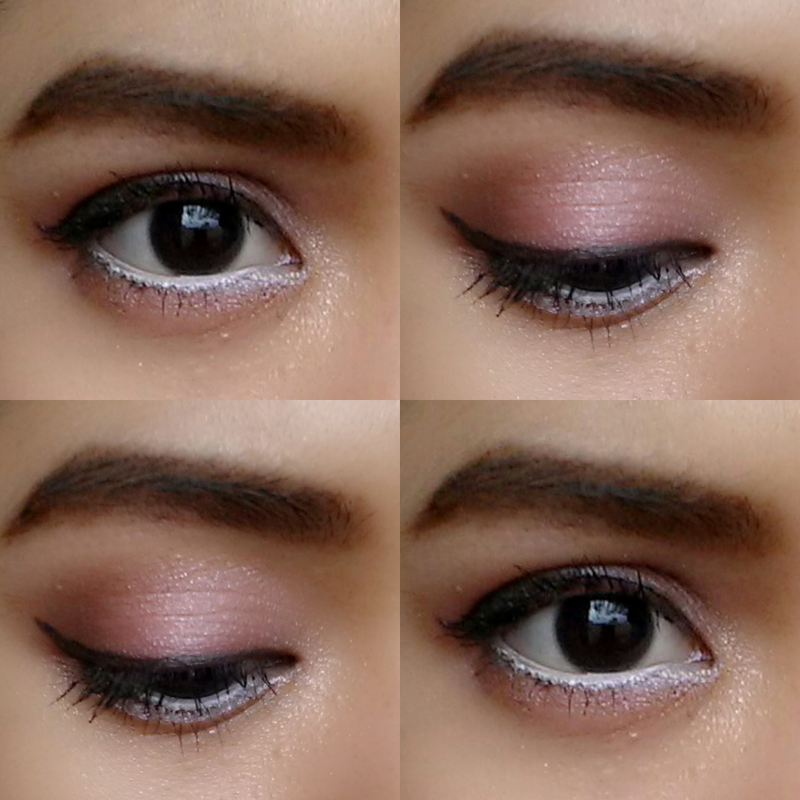 Apply a fuchsia pink eyeshadow shade in between the baby pink and brown eye shadow shades. 5. 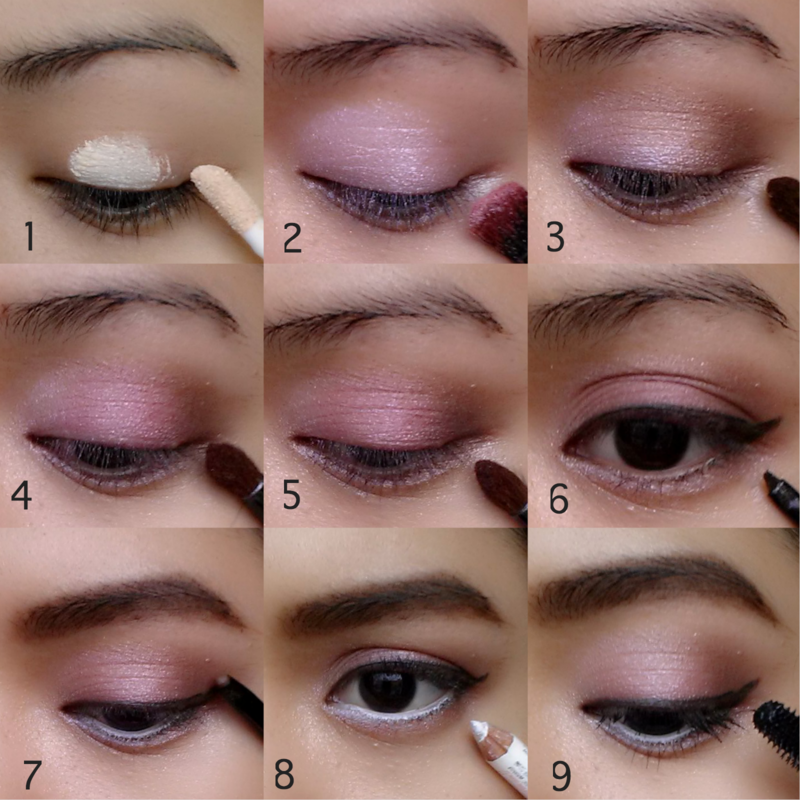 Apply a plum eyeshadow shade just on the outer corners of your eyes. Blend the entire application. Don't forget to get rid of those hard edges. #Tip: The secret of makeup is blending. 6. Apply a black eyeliner on your upper lash line and 3/4's part of your lower lash line starting from the outer corners of your eyes. 7. Fill in your eyebrows. For this look I wanted my eyebrows to look strong, thick and full like that of Cara Delevingne 's because thick and full brows can help shape, lift and balance the face as what Vanita Parti says founder of the Blink Brow Bar. This look can also help you appear younger. 8. Apply a white eyeliner on your waterline. This will open up the eyes and make it appear bigger. Continue makeup with the rest of the face. And now your ready for your romantic date night! Don't forget to enjoy and have fun on this special occasion. Happy Valentine's Day!! !